The sexual harassment scandal at UC Berkeley has continued to receive media attention with the release last week of documents “that were previously not made public,” revealing that “19 UC Berkeley employees were found to have violated university sexual misconduct policy since 2011,” according to the Daily Californian. “In all four cases that resulted in termination, the fired employee was a campus staff member,” the paper notes. The San Jose Mercury News reports the 800 pages of newly released records “expose rampant violations” – and reveal that none “of the employees fired as a result of sexual harassment violations ... were tenured faculty.” The violations include “foul language, explicit emails, unwanted sexual advances and sexual assault.” The San Francisco Chroniclerevealed more detail on the cases. Two UCB graduate student also say they’ll file California Department of Fair Employment and Housing complaints against a faculty member, reports the Guardian. 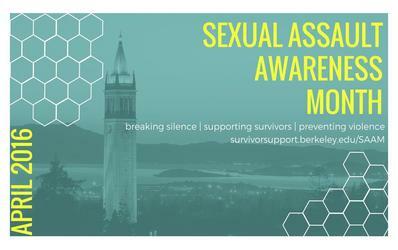 Perhaps ironically, the news is breaking in April, which is marked as Sexual Assault Awareness Month, for which the Berkeley campus has planned many events. In a surprise announcement on Thursday, UC Berkeley assistant basketball coach Yann Hufnagel resigned “days after vowing to fight the university's efforts to fire him,” reports the San Jose Mercury News. His attorney cited “the toxic environment at UC Berkeley” and "stark” differences in punishment. The story is also covered in theDaily Californian. The threat of an unprecedented five-day statewide strike by Cal State University faculty has produced a favorable settlement. The California Faculty Association’s chief issue was salary increases to begin to make up for years of stagnant pay. CFA had demanded 5 percent; CSU offered no more than 2 percent. A neutral fact-finder sided with the union. With a strike looming, CSU agreed to a 10.5 percent increase over three years. Are you a UC administrative professional? If so, you might want to sign UPTE’s fair pay petition to tell the university that merit-based increases are fine, but they are not a substitute for across-the-board increases, and that you are tired of getting 26 percent less in raises than other UPTE-represented colleagues.